Brittany34 sent me an email requesting that I teach her how to hypnotize people. I’m supposing she want’s to know how to perform a hypnosis instant induction. This is when you walk up to someone and almost instantly hypnotize them. These technique’s should hypnotize anyone. Here is a video if you prefer that. One way you can help increase your odds is to put them first through some suggestibility test’s. See my Indirect Hypnosis Suggestibility article here. These test’s will slowly build up your strength to overwhelm anyone. Here are the basic step’s you must follow to quickly hypnotize, or how to perform an instant hypnosis induction. Build Rapport: This is the process of getting the other person to feel comfortable around you. If you are practicing a quick trance induction on a friend this should not be an issue. You can read more on rapport building in my Indirect Hypnosis : Intro to NLP article. Gain Their Attention: Get them to completely focus on all level’s on one thing. I demonstrate how to do this in the direction’s below. 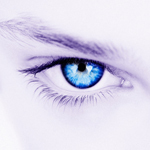 Lead Them into Trance: When you notice their eye’s are focused completely on what you have directed them toward’s, lead them deeper into trance. I demonstrate how to do this in the exercise’s. Now on to the hypnosis induction’s. All you need to do is follow the script. You can either take a subject through some suggestibility test’s first or just start firing off command’s. It’s best to do this with the client sitting down, for safety reasons. Think in your mind that you are simply shaking their hand. Stop just before your hand’s touch and gently grasp their wrist, with your left hand. That should do it. If it didn’t quite work the first time, you will get better through practice. Here are some other way’s you can focus the subject’s attention. Instead of grabbing their wrist and pointing at their palm try these technique’s instead. If you have any doubt that you can support your subject’s weight, do this in a seated position. Sit next to the subject and turn toward them, and have them do the same. Establish positive rapport, by getting the subject to agree with you. Reach out to shake the subject’s hand. As you pull them toward you, place your left hand on their neck and pull them toward you in the same motion. Do this as if you were giving them a hug. Speak the same suggestion’s of relaxation that I used above. Reach out and shake their hand naturally. Stare into your subjects eye’s and let the handshake naturally come to a stop, but hold their hand loosely. Slowly release their hand as you randomly touch different part’s of their hand. Look through the subject or between their eye’s. Begin deepening their thought’s with command’s to relax, like were used in the previous demonstration. Continue to touch their hand lightly, while continuing the command’s. As they turn and count give them suggestion’s that will relax them. Once they stop counting, they will be deep in trance and ready for suggestion’s. Work’s every time. How do I stop thinking about people who are mean to me? How do I win an argument? These caught me off guard a bit. Keep the question’s coming and if I can find the answer’s I’ll surely provide them. Look forward to these answers very soon. HELLO SIR , I AM A DENTIST AND WANTS TO LEARN THIS METHOD GENUINELY. SO THAT I WILL BE ABLE TO WORK MORE COMFORTABLY. ITS THERE IM OUR BOOKS BUT NOT USED MUCH. I SAW SOME VIDEOS OF DENTISTS USING IT, JUST AWESOME …….!!!!!!! Hypnosis is originated in ancient India in samveda as sammohan shastra.Indian classical music is also based on hypnosis i.e. bringing person in trance like condition through sound frequency and teaching them good things.For this you may listen ABHANGAAS by pandit bhimsen joshi you may find yourself out of world! how do you know that it hasn’t originated before that, but got lost. We only know what the history roughly is for the last 6,000 years or so when the Sumerian civilization popped up. There could have been civilizations before that. One example is the pyramids in Egypt, where all modern engineers agree that could not be built for 20 years with the tools we have today. According to the official statement, that pyramids where built in the span of 20 years each. It is too much that has not surfaced yet to make any conclusions on past events. i’ve always wanted to learn hypnosis and recently i have but when ever i try it it doesnt work and i follow it to the letter what do you suggest? A ton of practice. The skill you have to develop is counter intuitive. You must grow confident that your technique will work before it actually has. You must be completely confident. After you do it the first time it will be easy after that most of the time. Being a newbie at hypnosis, how would be the best way to start. Local hypnosis class definitely. Just make sure you check the person out first. Ask to have 3 names of previous students. If they say no then ask for a money back guarantee.